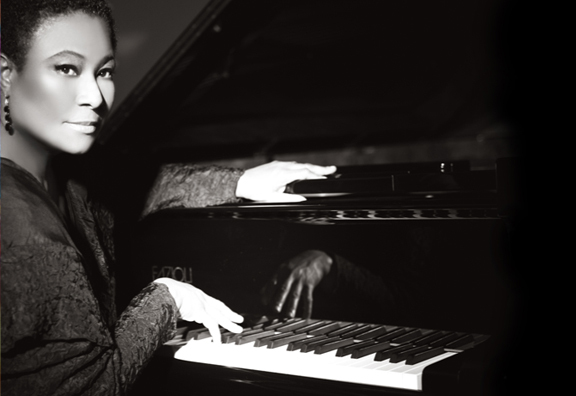 Geri Allen is an internationally known composer and pianist. Since 1982, she has recorded, performed or collaborated with artists as diverse as Ravi Coltrane, Dianne Reeves, Liz Wright, and Simone, in a celebration of the life and music of Nina Simone, Donald Walden, Farah Jasmine Griffin, Bill Cosby, Mal Waldron, Sir Simon Rattle, Lee Konitz, Vernon Reid, Jackie Hillsman and Peter Bernard, JoAnne Akalaitis, Clark Terry, George Shirley, Carrie Mae Weems, Ron Carter and Tony Williams, Carmen Lundy, Lester Bowie's From the Root To The Source, Kevin Maynor, Meshell Ndegeocello, Howard University's Afro Blue, Dewey Redman, Jimmy Cobb, Sandra Turner-Barnes, Marcus Belgrave, Betty Carter, Marian McPartland, Roy Brooks, Charlie Haden and Paul Motion, Terri Lynn Carrington, Hal Wilner, Mino Cinelu, Dr. Billy Taylor, Joan Rivers, and Mary Wilson and the Supremes. Many honors have come Professor Allen's way. She was recently invited by Ms. Jessye Norman to participate in Honor, A Celebration Of the Legacy Of African Music, held at Carnegie Hall Spring, 2008. She has received the key to the city of Cambridge during Geri Allen Week at Harvard University, and the key to the city of Cleveland. Howard University has honored her with its Benny Golson Award, while Spelman College bestowed its African Classical Music Award on her in 2007. She was the first artist to receive the Lady Of Soul Award in Jazz, and was also the youngest person—and the first woman—to receive the Danish Jazzpar Prize. Professor Allen is a 2008-2009 Guggenheim Fellow for Musical Composition. Professor Allen's work as a composer has been honored by SESAC. Her ability has won her commissions from Jazz at Lincoln Center, Music Theatre Group, American Music Theatre Festival, Stanford University, and, most recently, from The Walt Whitman Arts Center and Meet the Composer who commissioned For the Healing of the Nations, a Sacred Jazz Work, composed in tribute to the victims and survivors of the 9/11 tragedy. Geri Allen continues to concertize all over the world. Jim Altieri loves listening. Through his music and software, he tries to share this love with other listeners. Based in New York City, Jim is an active composer and violinist. His own music often uses the harmonies and rhythms of the harmonic series and explores the relationship between attention and awareness. In NYC, Jim also has collaborated and played with many excellent composers and bands, including Glissando bin Laden, Tatters and Rags, Pearl and the Beard, Wet Ink Ensemble, Tristan Perich, Tom Swafford's String Power, Rocky Heron, Duane Pitre, Owen Lake and the Tragic Loves, Katie Young, and Corey Dargel. Jim got his degrees in music technology, composition, and geology from Oberlin Conservatory and College. Sandeep Bhagwati is an internationally renowned composer, theatre director and media artist. 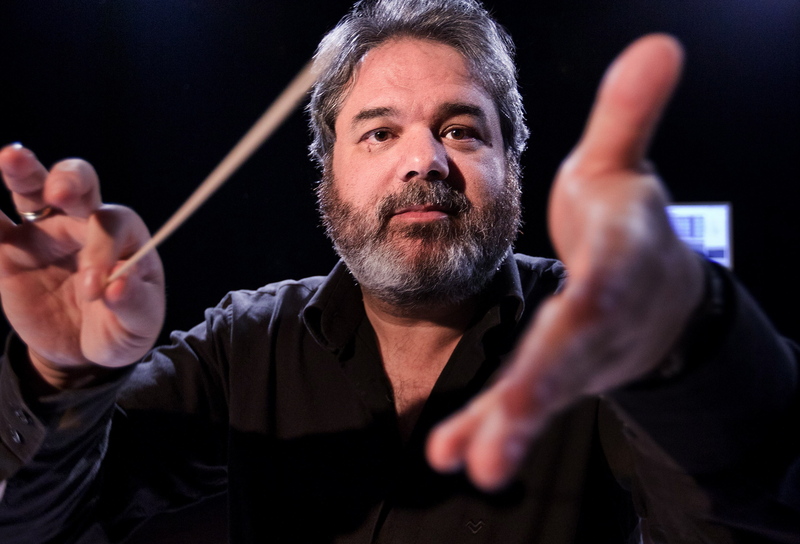 His multiple award-winning, often large-scale compositions in all genres have been performed by leading performers and orchestras at leading festivals worldwide. (World New Music Festival, at the Edinburgh, Salzburg, Stuttgart Festivals, at the Venice, Heidelberg and München Biennales, at märzmusik Berlin, Vienna Modern, Sangat Mumbai etc.) His 6 music theatres and operas have been staged at major venues (Centre Pompidou Paris, Munich, Bonn, and Darmstadt State Operas etc.). He has founded and directed interdisciplinary festivals such as A*DEvantgarde Munich (since 1991, biennial) and Klangriffe – Festival for Risky Music (2003). 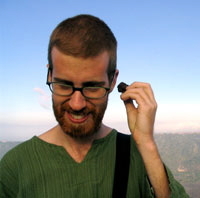 He has also directed long-term intercultural music exchange projects with Indian (e.g. Shubha Mudgal, Swapan Chaudhuri, Uday Bhawalkar, Dhruba Ghosh) and Chinese musicians (e.g. Wu Wei, Yeh Jiuan-Reng) and leading European and Asian Musicians (Ensemble Modern, Nieuw Ensemble, Chai Found Music Workshop Taipei). From 2000-2003 he was Professor of Composition and Multimedia at Karlsruhe Music University. Between 1995 and 2007 he also was a Research Fellow / Composer in Residence at the IRCAM Paris, ZKM Center for Art and Media Karlsruhe, Beethoven Orchestra Bonn, Institute for Electronic Music Graz and CalArts Los Angeles. Future composer residencies and guest lectureships are planned at Turku Music Academy, at the Tchaikovsky Conservatroium Moscow and at Heidelberg University. Born in Mumbai, having lived in Europe for over 30 years, he moved to Canada in 2006 as a Canada Research Chair for Inter-X Arts in the departments of Music and Theatre at Concordia University Montréal. His work has been supported by numerous foundations and cultural institutions as well as private and public sponsors worldwide. Curtis Bahn is an improvising composer involved in relationships of body, gesture, technology and sound. He holds a PhD in music composition from Princeton University, and studies Hindustani classical music as a formal disciple of acclaimed sitarist, Ustad Shahid Parvez Khan. Curtis teaches interactive media at Rensselaer Polytechnic Institute in Troy New York, and performs internationally. He recently was granted a fellowship through the Asian Cultural Council to study and collaborate with artists in India. Jean-Baptiste Barrière is born in Paris in 1958. He made studies in music, art history, philosophy and mathematical logic. He worked at Ircam in Paris, starting 1981, directing Musical Research, Education, and Production ; and left in 1998 to concentrate on personal projects focusing on the interaction between music and image. His piece Chréode (1983) won the Prix de la Musique Numérique of the Concours International of Bourges in 1983 (CD Wergo). He composed the music of several multimedia shows, including 100 Objects to Represent the World, of Peter Greenaway, premiered at the Salzburg Festival in 1997. 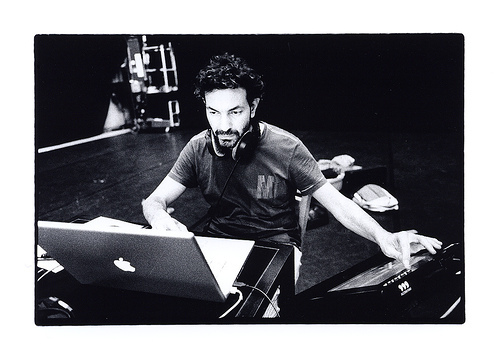 Barrière has also composed the music of several virtual reality and interactive installations by the Maurice Benayoun, like Worldskin (Prix Ars Electronica 1998). He developped Reality Checks a cycle of installations and performances questionning the concept of identity in the digital age. He has directed the cd-rom Prisma, the musical universe of Kaija Saariaho (Grand Prix Multimédia Charles Cros 2000), and is realizing regularly visual concerts on her music, e.g. her opera L’Amour de loin, performed in Berlin and Paris in 2006 by Kent Nagano and Deutsches Symphonie Orchester Berlin. He directed visual parts for concert versions of operas such as Olivier Messiaen’s Saint François d’Assise with Kent Nagano and Orchestre Symphonique de Montréal (which won the 24th Grand Prix du Conseil des arts of Montréal), and with Myung Whun Chung and Orchestre Philharmonique de Radio-France in 2008, or Alban Berg’s Wozzeck with Esa-Pekka Salonen and the Philharmonia of London in 2009. During the academic year 2011-2012, he is Visiting Professor at Columbia University’s Music Department. Denis Beuret was born 24th July, 1965. He is one of the most original Swiss composers and trombone players. He is a musician and composer of several contemporary pieces of music, jazz and improvised music. He plays augmented bass trombone and live electronic. He has studied drums, trombone and orchestra conducting, and worked and played in Switzerland, France, Germany, USA, Poland and Taiwan. Over the last 20 years he played solo concerts, duos, trios, quartets, ensembles, brass bands, big bands, symphony orchestras in all possible styles from gregorian chants to rock to jazz to avant-garde to electroacoustic music. His trombone playing is influenced by Albert Mangelsdorff, Bill Watrous, Vinko Globokar and Jay Jay Johnson, as well as Miles Davis, John Coltrane, Igor Stravinsky, John Cage, Richard Wagner, Claude Debussy, Pierre Henry and Pierre Schaeffer. These diverse influences come from jazz, classical music, contemporary electroacoustic music and find an ideal playground in the music of Denis Beuret – he blends them together in his personal language wich becomes accessible because it speaks of feelings. His method of work and his musical direction integrate live electronics with bass trombone and his work has developed in three directions : Firstly, he completely mastered the technique of playing bass trombone in all its glory of five octaves and he uses the widest sound palette imaginable. Like Albert Mangelsdorff before him, he uses double sounds and sordines. In the spirit of Vinko Globokar, he also uses all sorts of embouchures – for tuba, saxophone, clarinet, flute, bassclarinet… All these combinations allow him to vary sonorities of his instrument like no one has done before him. Secondly, he has developed ways to augment his trombone by incorporating computer programmes wich can play Max/MSP and Logic Pro. He programmes his pieces and graphic interfaces in Max/MSP and Logic Pro. Finally, inspired by notations of Morton Feldman and Vinko Globokar, he has made different graphic writtings fitted to his music. 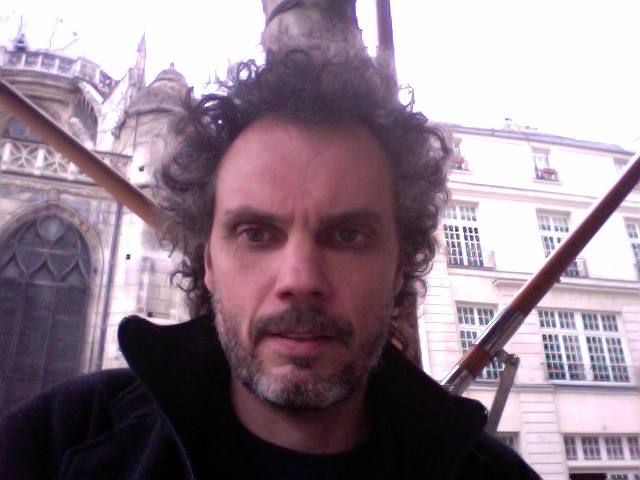 Frédéric Bevilacqua is the head of the research team "Real Time Musical Interactions" at IRCAM in Paris. His research interest concerns the development of interfaces for musical expression, and the interaction between gesture and sound. He holds a master degree in physics and a Ph.D. in biomedical optics from the Swiss Federal Institute of Technology in Lausanne. He also studied music and improvisation at the Berklee College of Music in Boston. From 1999 to 2003 he was a researcher at the University of California Irvine. 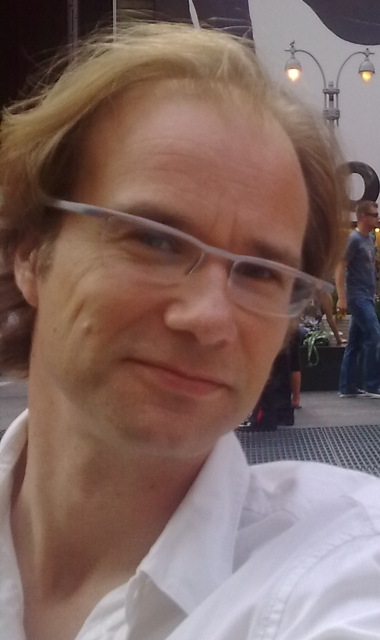 He joined IRCAM in October 2003 as a researcher on gesture analysis for music and performing arts. Since the 80's, Georges Bloch is working on Composed improvisation, that is, musical systems allowing long-term memory — score, computer program, interactive setup or a combination of them — as well as some variable short-term freedom. Georges is one of the creators of OMax, a computer assisted improvisation system developed at Ircam, Paris. 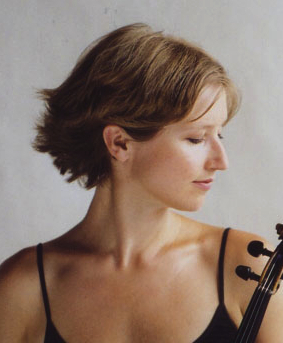 Maja Cerar is a violinist, musicologist, and multimedia creator, currently residing in New York City. Critics have consistently praised her as a "magnificent violinist" with "breathtaking technique" and "a completely natural musicality," an artist who "listens to her inner self." Cerar graduated with honors from the Conservatory Winterthur-Zürich, Switzerland and studied further with Dorothy DeLay and Kurt Nikkanen in New York. Her repertoire ranges from the Baroque to the present, and her stage experience includes performance with live electronics, dance and theater. She earned her Ph.D. in Historical Musicology at Columbia University, with a dissertation on Schubert's late string quartets. Ms. Cerar frequently works with composers, has premiered numerous works written for her, and has been coached by numerous composers including Beat Furrer, Uros Krek, György Kurtàg, Morton Subotnick, Alvin Lucier, and John Zorn. Currently she teaches as an Adjunct Assistant Professor at Columbia University. Many of Steve Coleman’s musical ideas are documented on the more than 26 CDs he has recorded as a leader, including Rhythm People, Black Science, Drop Kick, The Tao of Mad Phat (all on BMG Records). However much of Coleman’s time is spent doing research and traveling. The first such trip was to a small village called Yendi in Ghana in 1993 to study the relationship of language and music among the Dagbon people, who have a tradition of speaking using a drum language. 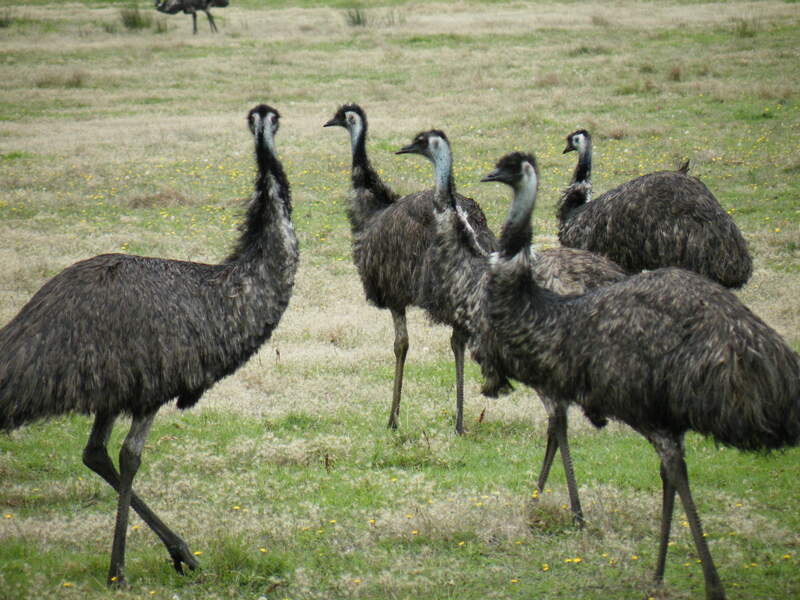 This trip had a profound effect on Coleman's music and philosophy along with the work of philosopher Thomas Goodwin, whose influence on Steve's work was profound and far reaching. In 1995 a three CD box set entitled Steve Coleman's Music - Live at the Hot Brass was released. Also this year Steve began to plan to meet and collaborate in a creative way with musicians who were involved in ancient philosophical/musical traditions coming out of West Africa. 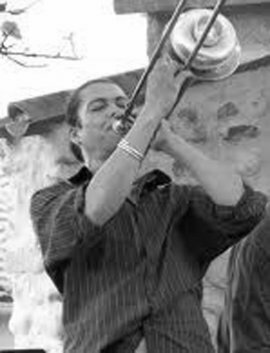 His group traveled to Matanzas Cuba in 1996 to collaborate with AfroCuba de Matanzas during the Havana Jazz Festival to perform before the Cuban public. The recording The Sign and The Seal was a result of this collaboration. in 1997 a large group called Steve Coleman and The Council of Balance recorded a CD called Genesis, released as part of the two CD set (Five Elements’ The Opening of The Way was the second CD in this set). Following trips to Senegal and India two of Steve's recordings The Sonic Language of Myth (1999) and The Ascension to Light (2000) move further in this direction. Steve’s work came to the attention of IRCAM (the famous computer-music research center in Paris France) leading to Coleman receiving a commission to further develop his ideas, featuring his group interacting with Steve’s Rameses 2000 computer software. In 2000-2001 Steve withdrew from performing/recording and began a study sabbatical. During this time he traveled extensively to India, Indonesia, Cuba and Brazil, continuing much of his research as a music professor at the UC Berkeley. He also signed with another record company called Label Bleu which released all of his subsequent CDs. Returning to performing Coleman recorded a live double-CD set called Resistance Is Futile (2001) on Label Bleu Records. In 2002 Steve Coleman and Five Elements recorded a CD that is available free of charge on Steve's website (www.m-base.com) called Alternate Dimension Series I, followed by On The Rising Of The 64 Paths (2003), Lucidarium (2004), Weaving Symbolics (2006), and a solo saxophone recording entitled Invisible Paths (2007). Steve's latest CDs are entitled Harvesting Semblances and Affinities (2010) and The Mancy of Sound (2011). Much of the important segments of this activity from 1996 on has been released in the form of a documentary DVD by Eve-Marie Breglia, available at elementsofone.com - based on Steve's work entitled Elements on One. 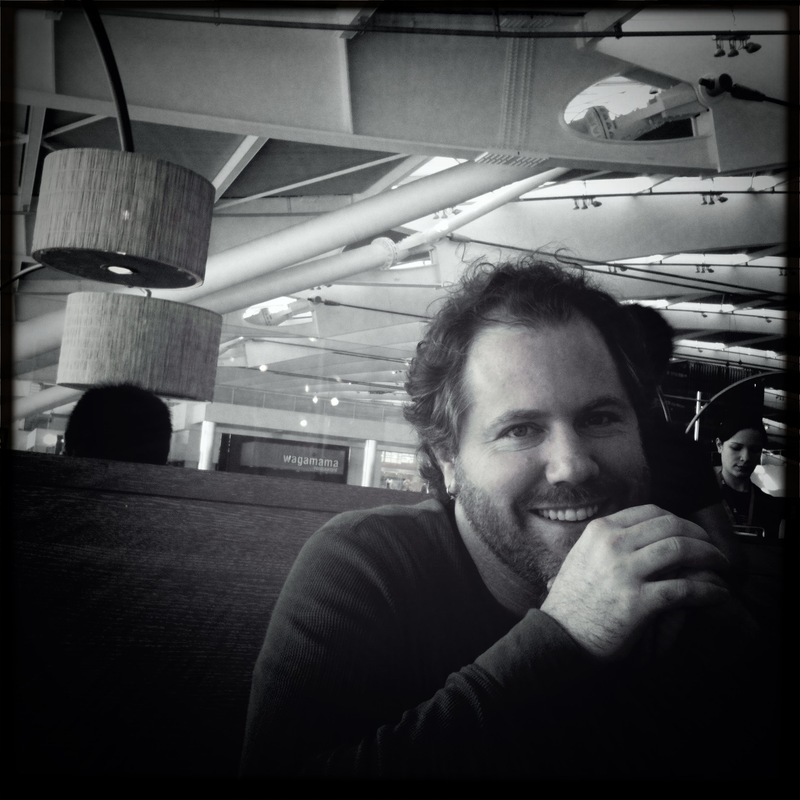 Marc Chemillier is Director of Studies at the EHESS in Paris (School for Advanced Studies in Social Sciences). He received a PhD in Computer Science and also has degrees in Mathematics, Musicology, Philosophy and Anthropology. He has been conducting fieldwork among the Nzakara of Central African Republic to study their harp music, and in Madagascar to work on the ethnomathematics of divination. His main interests focus on the modeling of elaborated knowledge developed in oral tradition thus associating fieldwork for the ethnographic recording of data and digital technologies for the modeling aspect of his approach. His recent research deals with musical knowledge and improvisation in collaboration with IRCAM in Paris (Institute for Research and Coordination Acoustic/Music). He is the author of Les Mathématiques naturelles (2007). Lori Freedman is known internationally as one of the most provocative and creative performers in the field of contemporary music. Her work includes concert repertoire, improvised and electroacoustic music, and she frequently collaborates with dance, theatre and visual artists. 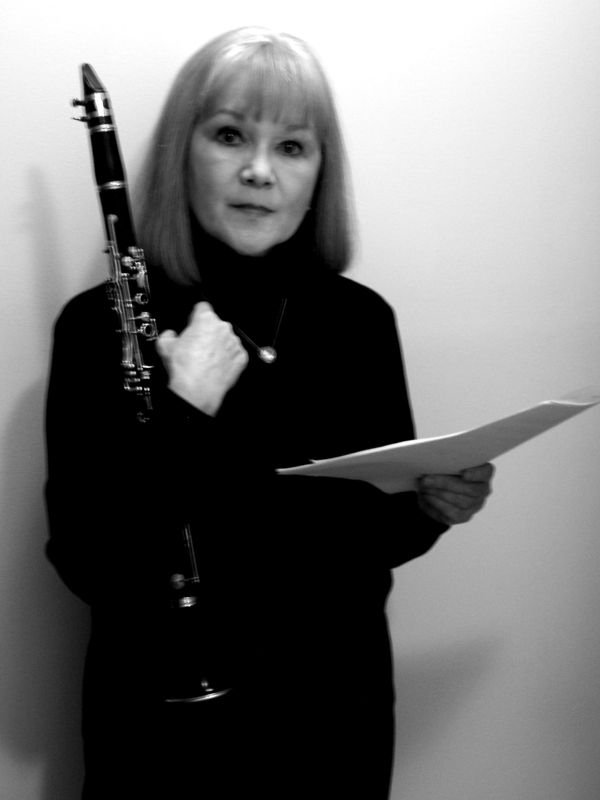 Over 45 composers have written solo bass clarinet music for her, and since 1981 Freedman has been working with an eclectic mix of musicians including Toru Takemitsu, Iva Bittova, Helmut Lachenmann, Joélle Léandre, Mauricio Kagel, Steve Lacy, George Lewis, Richard Barrett, Frances Marie Uitti, Misha Mengleberg, Evan Parker, Mark Dresser, Suzie Ibarra, Fred Frith, Giorgio Magnanensi, Ab Baars, Joe McPhee, Barry Guy, John Oswald, Benny Sluchin, Karl-Heinz Essl, Sandeep Bhagwati, Ana Sokolović, Bernard Falaise, Martin Tétreault, Jean Derome, René Lussier, Rohan de Saram and Diane Labrosse. Her work has been recorded on 28 CDs. 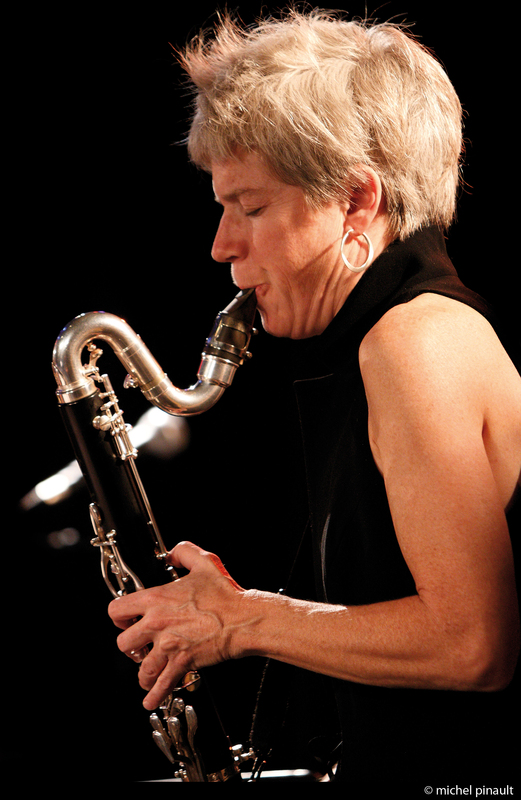 In 1998 Lori Freedman received the prestigious Freddie Stone Award for the “demonstration of outstanding leadership, integrity and excellence in the area of contemporary music and jazz” and at the National Jazz Awards she was nominated as Clarinetist of the Year in 2003, ’04, and ’06. Douglas Geers, composer and computer performer Douglas Geers is a composer who works extensively with technology in composition, performance, and multimedia collaborations. Reviewers have described his music as "…glitchy… keening… scrabbling… contemplative" (New York Times), "kaleidoscopic" (Washington Post), "…Powerful…" (Neue Zürcher Zeitung), and have praised its "shimmering electronic textures" (Village Voice.) 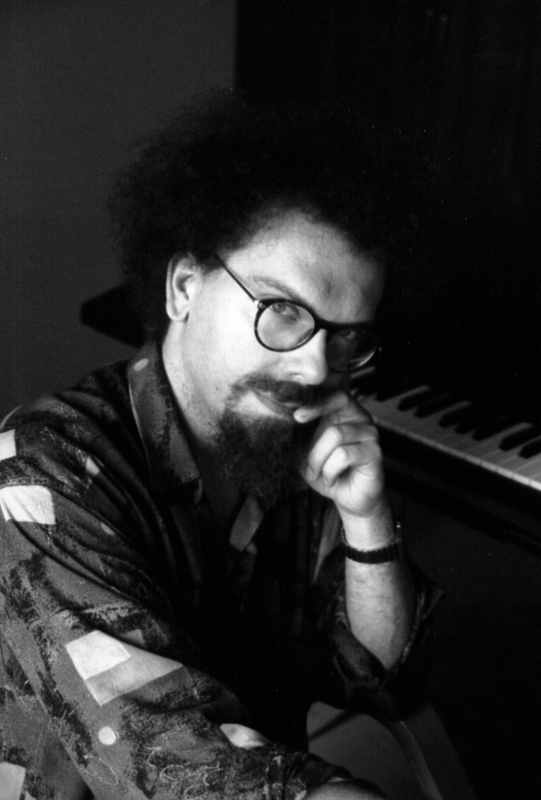 Geers studied composition and computer music at Columbia University with Tristan Murail, Fred Lerdahl, Brad Garton, and Jonathan D. Kramer. Recent works include Inanna, a 90-minute multimedia theater piece (2009, Zürich); an opera, Calling (2008, New York); Sweep, written for the Princeton University Laptop Orchestra (2008, Chicago); and a violin concerto, Laugh Perfumes (2006, Ljubljana). 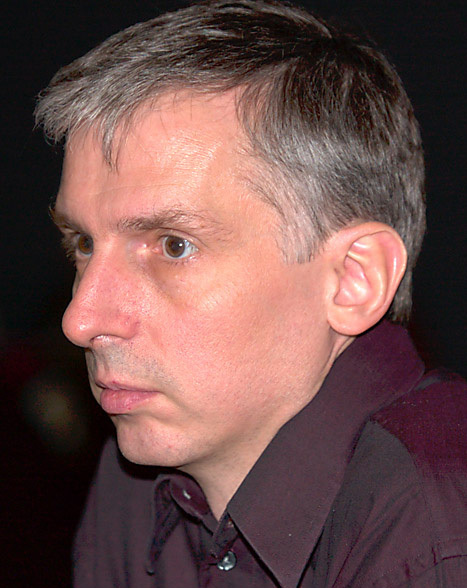 He is an Associate Professor of Music Composition at the City University of New York Graduate Center and the Brooklyn College Conservatory, where he is Director of the Center for Computer Music. 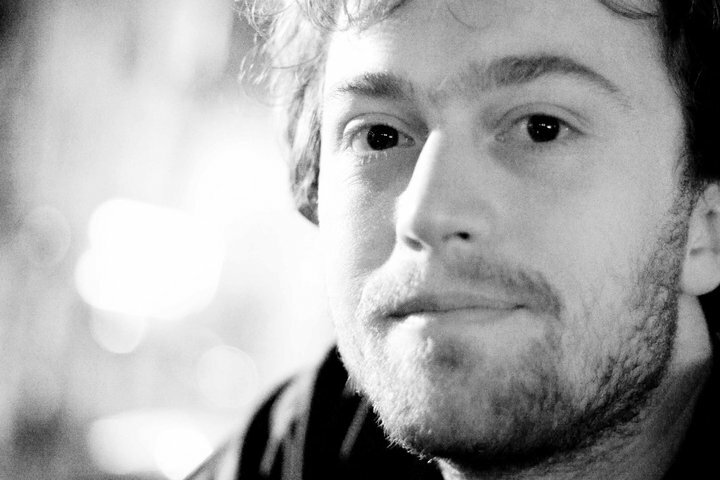 Damon Holzborn is an improviser, composer, and designer based in Brooklyn. He uses electronics and custom interfaces to manipulate familiar sound sources. His software and hardware designs focus on dynamic, playable instruments that are particularly effective for improvisational performance. Holzborn holds a degree in music from UCSD and is currently pursuing his doctoral degree in composition at Columbia University. Holzborn has presented his work throughout the US, Mexico, Canada, Europe, and Japan. He has performed and/or recorded with Muhal Richard Abrams, George Lewis, Miya Masaoka, Sparks (Peter Evans and Tom Blancarte), Lê Quan Ninh, Eugene Chadbourne, Mike Keneally, and Nortec Collective. He also composes for dance and theater, having worked with Sean Griffin, Bruce Andrews, and dance collective Lower Left. As a musical instrument designer, Holzborn collaborates with artists to create custom technology for performance or installation including software and hardware for George Lewis, Eric Metcalfe, Miya Masaoka, Hans Fjellestad, and Duane Pitre. Sax player, composer, improviser, teacher, researcher. Artistic director of Cie Nine Spirit since 1999. Born on June 2 1974, Raphaël Imbert grew up in an artistic background. 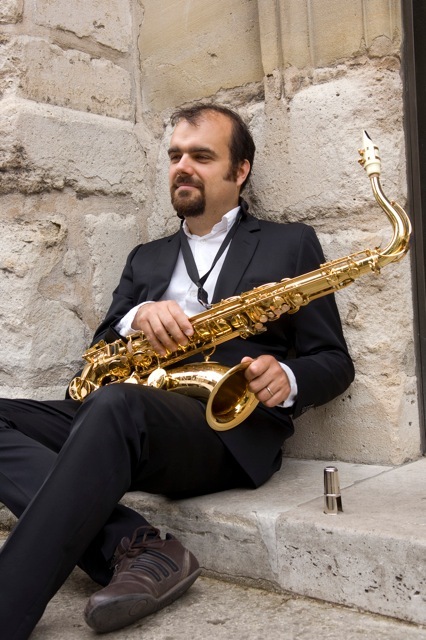 Self taught, he discovered the saxophone at the age of 15 and registered for the Regional Conservatory of Marseille where he soon wins the first prize. With his first bands, he plays in many festivals ( Vienne, Nice, Fiesta des Suds in Marseilles, Théâtre des Salins…). Imbert enjoys composing in eclectic musical situations. He develops his own vision of music and jazz, linked to the specific spitituality of jazz creation. To this end, he creates “Nine Spirit” (now the Nine Spirit Company) to play the sacred musics by Duke Ellington, John Coltrane, Pharoah Sanders, Albert Ayler and others, and to realize shows inspired by evocative texts, using narration as a musical element per se (Théodore Monod, Amadou Hampatê Bâ, Martin Luther King…). On the other hand, he develops a project of study of the sacred in jazz, and becomes laureate of the Villa Médicis Hors les Murs. In 2002, he creates the collective L’Enclencheur (in motion), with musicians and non-musicians to develop a wider vision of society. Imbert taught at the Conservatoire in Marseilles, and now teaches at Ecole Départemental de Musique des Alpes de Haute Provence. He has been a member of the board of the” Orchestre National de jazz” since september 2004 and, in June 2005, he won the 28th National Jazz Contest of La Défense in Paris. Raphaël Imbert composes also for movies and television. He has recorded 5 CDs for the Zig Zag Territoires Label, including “Bach Coltrane”, an original work about improvisation, creative music and classical expression (14000 copies sold) and two albums with American musicians Gerald Cleaver and Joe Martin. Since 2004, Imbert joined as a PhD candidate Ecole des Hautes Etudes en Sciences Sociales (EHESS) and as such has been commissioned for a research in southern USA, for the IMPROTECH project. 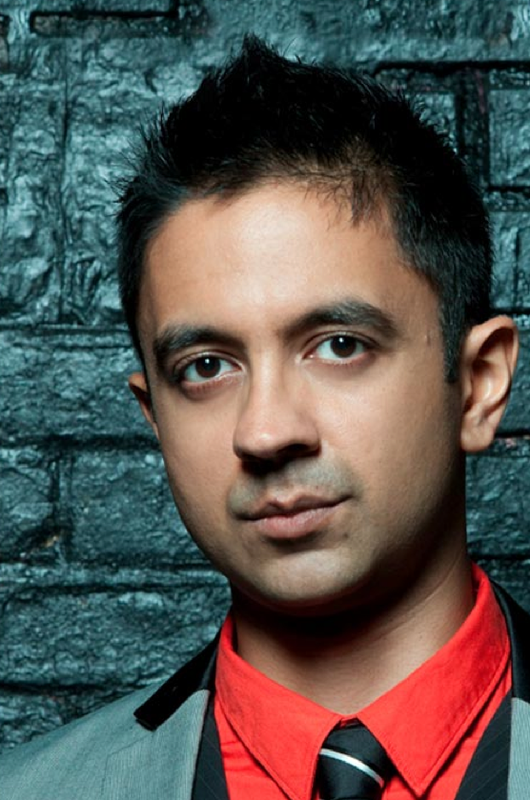 Grammy-nominated composer-pianist VIJAY IYER was described by Pitchfork as "one of the most interesting and vital young pianists in jazz today," by The New Yorker as one of "today's most important pianists… extravagantly gifted… brilliantly eclectic," and by the Los Angeles Weekly as “a boundless and deeply important young star.” He was voted the 2010 Musician of the Year by the Jazz Journalists Association, and named one of the “50 Most Influential Global Indians” by GQ India. Iyer has released sixteen albums as a leader, most recently Accelerando (2012), an intense, visceral follow-up to the multiple-award-winning Historicity (2009), both featuring the Vijay Iyer Trio (Iyer, piano; Marcus Gilmore, drums; Stephan Crump, bass). Historicity was a 2010 Grammy Nominee for Best Instrumental Jazz Album, and was named #1 Jazz Album of the Year in The New York Times, The Los Angeles Times, the Chicago Tribune, the Detroit Metro Times, National Public Radio, PopMatters.com, the Village Voice Jazz Critics Poll, and the Downbeat International Critics Poll. The trio won the 2010 Echo Award (the "German Grammy") for best international ensemble and the Downbeat Critics Poll for rising star small ensemble of the year. His numerous honors also include the 2003 Alpert Award in the Arts, the 2006 New York Foundation for the Arts Fellowship, and numerous composer commissions. 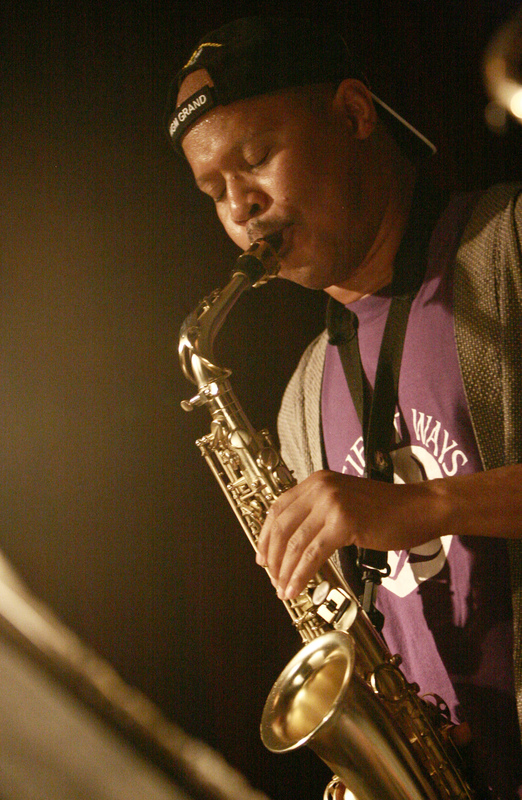 Iyer’s collaborators include his generation’s fellow forward-thinkers Rudresh Mahanthappa, Rez Abbasi, Craig Taborn, Ambrose Akinmusire, Liberty Ellman, Steve Lehman and Tyshawn Sorey; elder avant-garde pioneers such as Steve Coleman, Roscoe Mitchell, Wadada Leo Smith, Butch Morris, George Lewis, and Amina Claudine Myers; new-music experimenters Miya Masaoka, Pamela Z, and John Zorn; hip-hop innovators Dead Prez, Das Racist, DJ Spooky, and High Priest of Antipop Consortium; South Asian percussionist-producers Karsh Kale, Suphala, and Talvin Singh; filmmakers Haile Gerima and Bill Morrison; choreographer Karole Armitage; and poets Mike Ladd, Amiri Baraka, Charles Simic, and Robert Pinsky. His concert works have been performed by Ethel, JACK, Brentano String Quartet, American Composers Orchestra, Hermès Ensemble, and Imani Winds. A polymath whose career has spanned the sciences, the humanities and the arts, Iyer received an interdisciplinary Ph.D. in the cognitive science of music from the University of California, Berkeley. He has published articles in Journal of Consciousness Studies, Wire, Music Perception, JazzTimes, and The Best Writing on Mathematics: 2010. He is a Steinway artist. 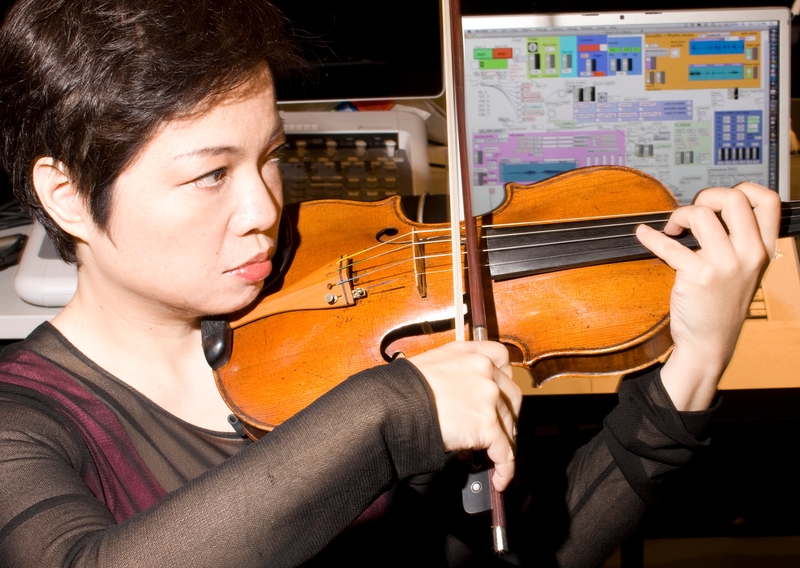 Hailed by The New York Times as “a virtuoso playing at the edge”, composer/violinist Mari Kimura is widely admired for her “Subharmonics” and her works for interactive computer music, and as an “simply stunning” improvisor (STRINGS). She won the 2010 Guggenheim Fellowship in Composition and was a Composer in Residence at IRCAM in Paris. In the same year, she was invited as a solo violinist with the Hamburg Symphony. Ms. Kimura’s works have been supported by grants including Fromm Commission Award. Ms. Kimura teaches Interactive Computer Music Performance at The Juilliard School. Born in Slovakia, splits his identity into being a musician, music and new media art curator, journalist and cultural organizer. Holds a degree in musicology, currently a Fulbright grantee at NYU. Worked with the Experimental Studio of the Slovak Radio, is co-founder of A4 – cultural centre in Bratislava and chairman of Atrakt Art association –the organizer of the NEXT festival of advanced music (since 2000) as well as a record label specializing in experimental music. His music is spanning from live plunderphonics to electroacoustic improvisation and exploration of interaction possibilities with various hardware and software. Member of several experimental music projects (‘avant-core’ duo Shibuya Motors, plunderphonic laptop trio Voice Over Noise, improvising orchestra Musica falsa et ficta, electroacoustic trio Feed The Tiger), performed solo and in collaborations throughout Europe and USA. The New York Times calls Esther Lamneck “an astonishing virtuoso”. Winner of the prestigious Pro Musicis Award, she has appeared as a soloist with major orchestras, with conductors such as Pierre Boulez, and with renowned chamber music and improvised music artists throughout the world. A versatile performer and an advocate of contemporary music, she is known for her work with electronic media including interactive arts, movement, dance and improvisation. Ms. Lamneck makes frequent solo appearances at music festivals worldwide and maintains an active solo career performing and presenting Master Classes in Universities and Conservatories throughout the United States and Europe. An artist who is sought after by the leading composers of our times, her collaborations have led to hundreds of new compositions in many genres including solo works for the clarinet and the tárogató. Esther Lamneck is one of a few performers who plays the Hungarian Tárogató, a single reed woodwind instrument with a hauntingly beautiful sound. The instrument's aural tradition has led her to perform it almost exclusively in new music improvisation settings. She is recognized for her collaborative work with composers on both the clarinet and the tárogató in creating electronic music environments for improvisation. Awarded the Naumburg Scholarship, Ms. Lamneck received her B.M., M.M. and Doctoral degrees from the Juilliard School of Music where she was a clarinet student of Stanley Drucker, other teachers have included Robert Listokin, and briefly Rudolf Jettel. She currently serves as Program Director of Woodwind Studies and the Clarinet Studio at New York University. She is artistic director of the NYU New Music and Dance Ensemble, an improvising flexible group which works in electronic settings using both fixed media and real time sound and video processing. Ms. Lamneck has worked together with choreographer Douglas Dunn for many years creating multimedia productions for Festivals in the US and Italy. Her work in the area of Interactive Technology includes research with the “Eyesweb” program which allows for gestural control of live sound and video processing and numerous programs within the NYU technology labs. “New-music luminary” (The New York Times) and “leading exponent of the avant-garde flute” (Kyle Gann, Village Voice), interdisciplinary performer Margaret Lancaster has premiered well over 100 pieces and built a large repertoire of new works written specifically for her that employ extended techniques, dance, drama, multi-media, and electronics. Lancaster is a member of Either/Or, Glass Farm and Fisher Ensemble, a guest of the Argento Ensemble, Sequitur, Ne(x)tworks, Counter)induction, and Talujon, and a recurring performer at Spoleto Festival USA and Santa Fe New Music. Performance highlights include Lincoln Center Festival, Ibsen Festival, Edinburgh Festival, Whitney Museum, Tap City Festival, New Music Miami, Festival D’Automne, HERE Arts Center and Bremen Musikfest with Absolute Ensemble. She has appeared as a lecturer/soloist at many sites including Stanford, Dartmouth, Princeton, Bennington, and the National Flute Association, has recorded on New World Records, OO Discs, Naxos, Innova, and Tzadik, and was selected for Meet the Composer’s New Works for Soloist Champions project. Noted for her inter-disciplinary performances, Lancaster, who also works as an actor, choreographer, dancer, and amateur furniture designer, presents solo and chamber music concerts worldwide and acts in Lee Breuer’s OBIE-winning Mabou Mines Dollhouse. Steve Lehman (b. 1978) is a composer, performer, educator, and scholar who works across a broad spectrum of experimental musical idioms. Lehman’s pieces for large orchestra and chamber ensembles have been performed by the International Contemporary Ensemble (ICE), So Percussion, Kammerensemble Neue Musik Berlin, The JACK Quartet, and by members of the Argento and Wet Ink Ensembles. 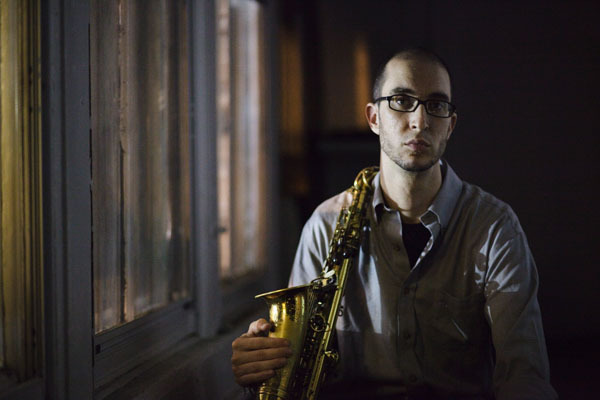 An alto saxophonist, Lehman has performed and recorded nationally and internationally with his own ensembles and with those led by Anthony Braxton, Dave Burrell, Mark Dresser, Vijay Iyer, Oliver Lake, Meshell Ndegeocello, and High Priest of Anti-Pop Consortium. 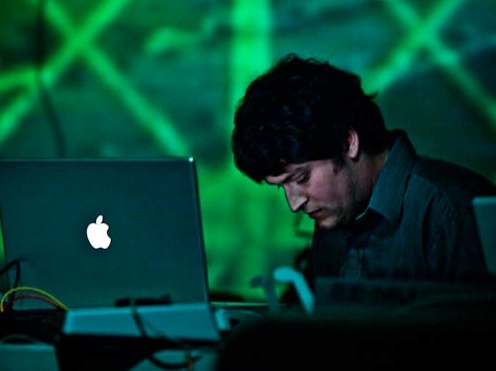 Lehman's recent electro-acoustic music has focused on the development of computer-driven models for improvisation, based in the Max/MSP programming environment. He is a doctoral fellow in Music Composition at Columbia University, where his principal teachers are Tristan Murail and George Lewis. His recent recording, Travail, Transformation & Flow (Pi 2009), was chosen as the #1 Jazz Album of the year by The New York Times. Graduated from engineering school of electronics (ENSEA) and former student of the Conservatoire of Cergy-Pontoise in cello, Benjamin Lévy chooses very early to combine music and computer with several internships and a masters degree (ATIAM) at IRCAM. Working since 2009 with the Musical Representation team of IRCAM on the OMax improvising software, he uses as far as possible the computer as a creation and/or improvisation instrument in all kinds of project from jazz to theater. 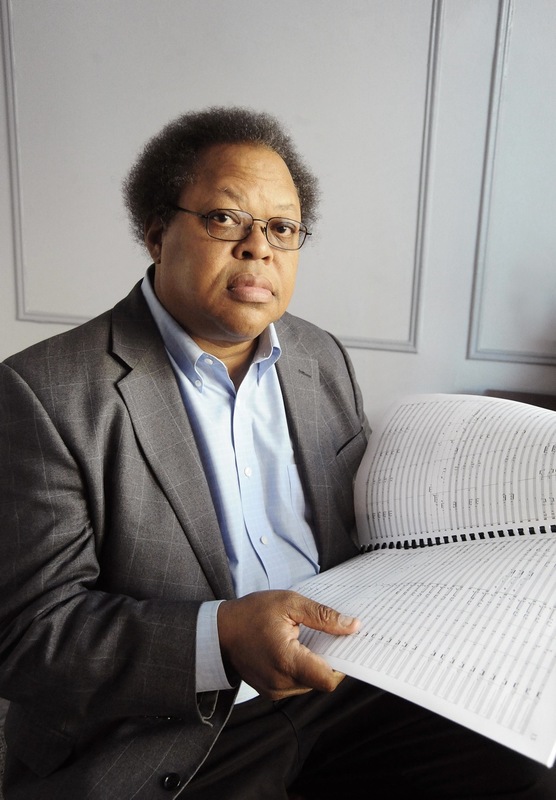 George Lewis is the Edwin H. Case Professor of American Music at Columbia University. The recipient of a MacArthur Fellowship in 2002, an Alpert Award in the Arts in 1999, and fellowships from the National Endowment for the Arts, Lewis studied composition with Muhal Richard Abrams at the AACM School of Music, and trombone with Dean Hey. A member of the Association for the Advancement of Creative Musicians (AACM) since 1971, Lewis's work as composer, improvisor, performer and interpreter explores electronic and computer music, computer-based multimedia installations, text-sound works, and notated and improvisative forms, and is documented on more than 140 recordings. His oral history is archived in Yale University’s collection of “Major Figures in American Music,” and his compositions and installations have been presented by the American Composers Orchestra, Dinosaur Annex, Wet Ink, the Turning Point Ensemble, Ensemble Erik Satie, Works and Process, the S.E.M. Ensemble, the NOW Orchestra, Deutschlandradio Kultur Berlin, Contemporary Art Museum Houston, and others, with commissions from the 2010 Vancouver Cultural Olympiad, OPUS (Paris), IRCAM, Musee des Sciences et des Industries La Villette, Harvestworks, Studio Museum in Harlem, the Glasgow Improvisers Orchestra, and others. His widely acclaimed book, A Power Stronger Than Itself: The AACM and American Experimental Music (University of Chicago Press, 2008) is a recipient of the American Book Award and the American Musicological Society’s Music in American Culture Award. Most recently, Lewis was selected by United States Artists as a 2011 USA Walker Fellow. Born in Uzeste in 1945, Bernard Lubat, pianist, vibraphonist, keyboard and accordion player, singer, composer and actor, began studying piano in 1957, attending the Bordeaux Conservatory where he discovered the drums, jazz and Milt Jackson. In 1961, he entered the Paris Conservatory where in 1963 he was awarded the prize for best percussionist. He was then taken on by the Jef Gilson Orchestra (1965) where he came into contact with Michel Portal, Bernard Vitet, François Jeanneau, Jean-Louis Chautemps, Henri Texier… He worked with Jean-Luc Ponty and Martial Solal, as a vibraphonist and for Stan Getz and Eddy Louiss as a drummer. At the same time he worked in contemporary music with Diego Masson, playing Varèse, Bartok, Xenakis, he took part in the premier of Luciano Berio's work Chemin 2 at the Scala de Milan and in the recording of Laborintus. In 1975, he established a group with André Ceccarelli, Marc Bertaux and Tony Bonfils. In 1978, he went on to set up the Festival Uzeste Musical (summer festival) and the Compagnie Lubat, a group with a changeable number of players. At the beginning of the 90s, he launched the festival de printemps and the festival d'hiver set up in cooperation with the Cie Lubat artists with Laure Duthilleul (actress), André Minvielle (singer and musician) and Patrick Auzier (musician and firework designer) and the publishing house, Les Editions du Tilleul, for the production of CDs. Bernard Lubat and his company tour all over France and abroad. Laurent Mariusse was born in 1974. At the age of 7 he began his musical studies on the drums. His learning path led him to the Conservatoire National Supérieur de Lyon in 1994, where he graduated in 1998 with a major in contemporary music. During his time there he worked with composers Pierre Boulez, Peter Eotvos, Daniel Tosi, and François-Bernard Mache. 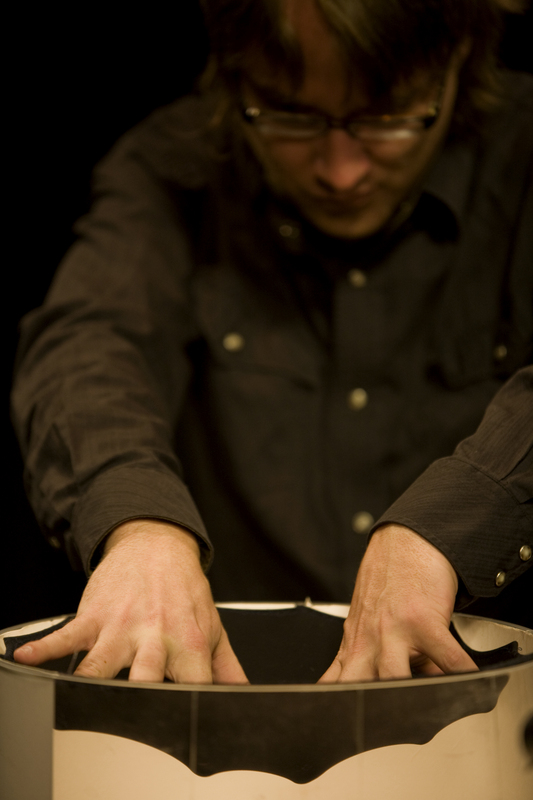 Since graduation he has worked alongside composers Marie-Hélène Fournier, François Nicolas, Yves Prin, Jean Philippe Calvin, André Serre-Milan, Bernard Devienne, Yaeko Asano, Saiko Nakamura, Pierre Jodlowski, and Emmanuel Séjourné on the creation of pieces for solo percussion. He has performed at Flaneries de Reims, Folle journée de Nantes, Festival Why Note, Festival des Arcs, Chateau de Paul Claudel à Brangues, Estivales Musicales de Court en Suisse, Royal College of London, Quilmes University in Argentina,Ecole Normale of Paris, percussion days in Paris and Strasbourg, permanent akademty NexeDuet in Valencia,. In 2002, he performed the premiere, in France, of the concerto for marimba and string orchestra by Jiri Pauer. He has also performed with the Spanish percussion ensemble Kontakte , creating the Suite for marimba and percussion quartet" by Emmanuel Sjourn. Laurent spends a large amount of his time involved with improvised-based compositions and performances. He plays with the improvisation software OMax, designed by Grard Assayag. They have performed together in Berlin, Paris, Clermont-Ferrand, and also with the trio USB - saxophone, sampler and percussions - with whom he improvises on animated films. His playing in duo with a saxophonist player Romain Cuoq. "Airelles Project" is a project based on electronics and acoustic instruments with Ableton Live and Max. He was semi-finalist of the ARD in Munich and of the international music tournament. 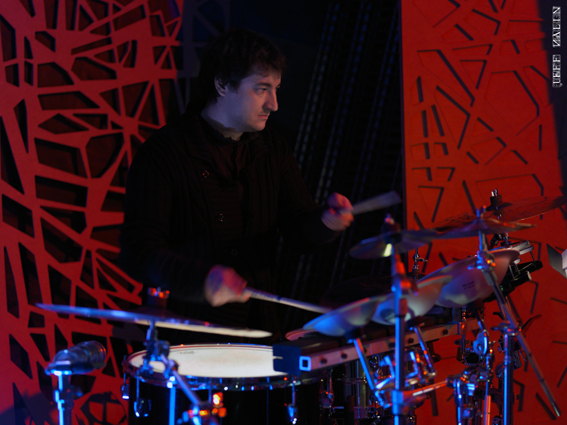 Laurent is an endorser for Bergerault Percussion, MalletKat, Ableton, Innovative Percussion, Grover and Sabian. Doran Massey received an MFA in Studio Art from New York University where he studied principally with Peter Campus. Currently, he teaches at Kean University while also working and studying education, art, and technology at Teachers College at Columbia University. He is a media artist with a background as an engineer and researcher in interactive television, software, and media technology. Not surprisingly, he works with electronics, computers, and other materials to create sound art, musical compositions, installations, video, and interactive pieces that explore the perception and cognition of complex interactions. The interactive systems may communicate the complexity and variability of living organisms, whether organic or inorganic. Immersive environments invite exploration and reward a person?s effort to interact with discovery. Sensations invite us to consider the reality at which they hint. This is not passive discovery. Each system reacts to us as we react to it, frustrating any desire on our part to control it by predicting specific responses, but rewarding the wish for open discovery. It is not a slave to be dominated. It declares its right to exist in freedom and its defiant refusal to submit to force while admitting the necessity to choose responses to the influences of other systems, including people. People are systems, multi-cellular, multi-dimensional, and multi-existential systems. Doran?s works have been performed, broadcast, and exhibited in North America, Europe, Japan, South America, and on the internet. Roscoe Mitchell, internationally renowned musician, composer, and innovator, began his distinguished career in the spirited 1960s of Chicago, Illinois. His role in the resurrection of long neglected woodwind instruments of extreme register, his innovation as a solo woodwind performer, his and his reassertion of the composer into what has traditionally been an improvisational form have placed him at the forefront of contemporary music for over four decades. A leader in the field of avant-garde jazz and contemporary music, Mr. Mitchell is a founding member of the world renowned Art Ensemble of Chicago, the Association for the Advancement of Creative Musicians, and the Trio Space. Mr. Mitchell has recorded 87 albums and has written over 250 compositions. His compositions range from classical to contemporary, from wild and forceful free jazz to ornate chamber music. His instrumental expertise includes the saxophone family, from the sopranino to the bass saxophone; the recorder family, from sopranino to great bass recorder; flute, piccolo, clarinet, and the transverse flute. His teaching credits include the University of Illinois, the University of Wisconsin-Madison, the California Institute of the Arts, the AACM School of Music, the Creative Music Studio, The New England Conservatory Boston Masschusetts, University of Wisconsin Plattville, Wisconsin, Oberlin College Ohio and numerous workshops and artists-in-residence positions throughout the world. August 2007, Mr. Mitchell assumed the Diarius Milhaud Chair at Mills College, Oakland, California. 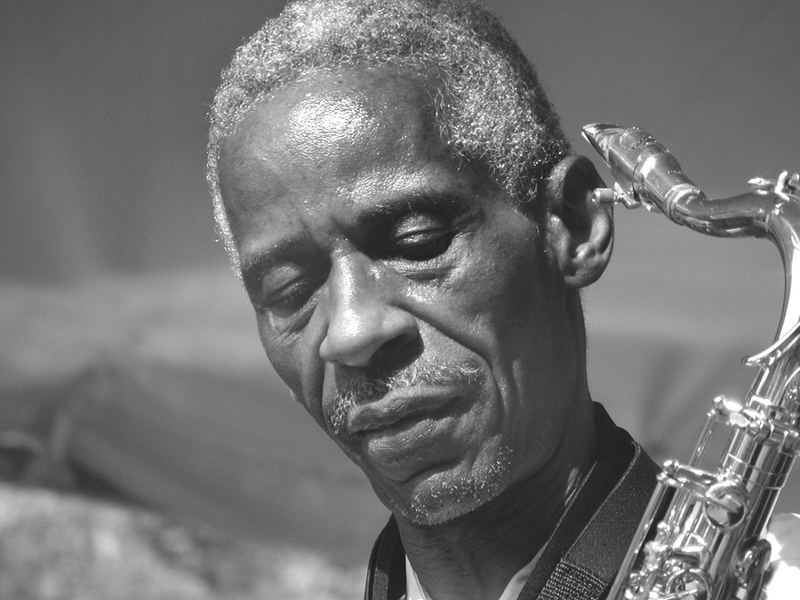 Roscoe Mitchell collaborates with David Wessel since 1968 when Mitchell, along with other members of the Art Ensemble of Chicago, moved into the house next door to Wessel's California home. Over the years projects included a piece for the 1986 International Computer Music Conference, the 2002 sessions following Wessel's invitation to the saxophonist for a two week residency at the University of California Berkley, as well as the 2004 performance from IRCAM in Paris, all captured on the dvd Contact. NAVID NAVAB is a Montreal based ‘media-alkemist,’ composer, performer, programmer, and sound designer. 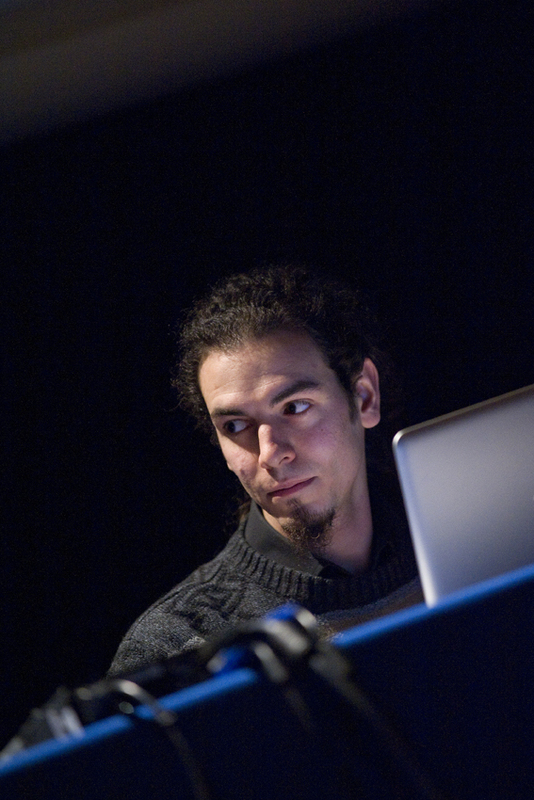 Currently an artist and researcher at Topological Media Lab, matralab, and Alkemie Atelier, he studied Electroacoustics and Computational Arts at Concordia University as well as Music Technology at McGill University. Navab has collaborated with various groups and artists including Jean Derome, Bozzini Quartet, Blue Rider Ensemble, Constantinople Ensemble, Vinny Golia, Pierre Tanguay, Coat Cooke, Zata Omm Dance Project, Sinha Danse, Alexander Wang, Xin Wei Sha, Michael Montanaro and Sandeep Bhagwati. Navid uses gestures, rhythms and vibrations from everyday life as basis for sound generation, resulting in augmented acoustical-poetry. His investigations, which range from compositions to responsive architecture, interface design, theatral interactive installations, and improv-based performances, have been presented at various festivals and events in many countries. Some venues include ChampLibre Montreal, Canadian Center for Architecture, Festival du Nouveau Cinema, Electric Eclectics Festival Meaford, Roulet Mixoiology Festival New York, Western Front Vancouver, StudentFest Romania, CCRMA California, CMS Black Box Cambridge UK, Box13 Houston, La Société des Arts Technologiques [SAT], les Territoires Gallery Montreal, Agora Montreal, E-arts China, Fashion Night Out [FNO] New York, and l’envers Montreal. Composer, double bass player, sound artist and researcher at Ircam. Gilbert Nouno lives and works in Paris and Rome. He was awarded the Rome Villa Medicis grant in 2011-2012 and the Kyoto Villa Kujoyama grant in 2007. His music draws inspiration from graphic works, design, visual arts, and conveys an open form for composition, at the edge of improvisation and writing. Gilbert Nouno is a close collaborator to Steve Coleman since the Ircam Ramses project. Jaime E. Oliver (Lima, 1979) is currently a Mellon Post-Doctoral Fellow in composition at Columbia University in New York. 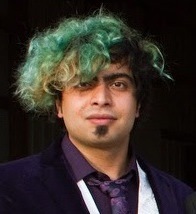 He obtained a PhD in Computer Music from the University of California, San Diego (2011) where he studied with Miller Puckette. Oliver’s music and research explores the concept of musical instrument in electronic and computer music, designing instruments that listen, understand, remember and respond. 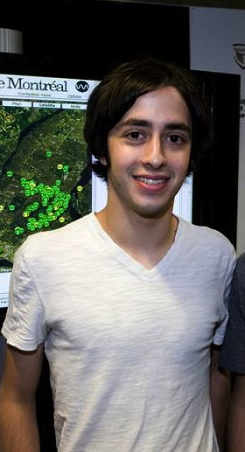 His open source Silent Drum and MANO controllers use computer vision techniques to continuously track and classify hand gestures. His work has been featured in many international festivals and conferences, collaborating with several composers, improvisers and artists in a field of action that spans sound performance and installation, composing and performing music, and programming open source software. Some recognitions include scholarships and grants from the Fulbright Commission, the University of California, Meet the Composer and the Ministry of Culture of Spain, and composition and research residencies at ZKM and IRCAM. He obtained the 1st prize in FILE PRIX LUX 2010, a GIGA-HERTZ-PREIS 2010 special prize from ZKM and the 1st prize in the 2009 Guthman Competition from the Georgia Tech Center for Music Technology. Terence M. Pender is a composer and musician whose interests range from contemporary multimedia-based works to bluegrass and the mandolin. His music has been performed in countries around the world, including Japan, China, Portugal, Italy, Canada and Greece, as well as across the United States. He has composed for NPR, national network television and the Whitney Museum of American Art. For the past 16 years Terry has worked at the Computer Music Center at Columbia University where he is currently the Associate Director. He teaches classes in the creative use of the Recording Studio and techniques developed over the past 50 years, with particular emphasis on the Beatles. He also teaches multi-media and interactive composition techniques using MAX/MSP/Jitter. Currently, Terry is a member of PGT (Pender, Garton, Taylor), an innovative trio consisting of mandolin and two laptop computers that expands on the approaches and achievements of experimental performers and producers who viewed the actual recording studio as their main instrument. 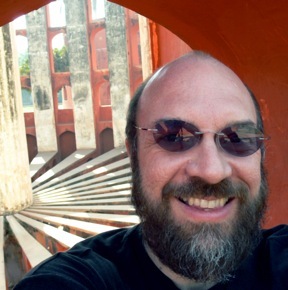 Since 2000, Terry has often worked in collaboration with the Open Ended Group (Paul Kaiser, Shelley Eshkar and Marc Downie) to create the sound design and/or engineer the sonic elements for several of their ambitous public art projects that continue to tour the world. Highlights include working on Enlightenment, a public artwork that actively investigates, visualizes, and reconstructs the deeper musical structures of Mozart by means of artificial intelligence and realtime graphics. It ran live on a cluster of 10 high-resolution displays and audio speakers. Installed in the façade of Avery Fisher Hall, it opened on July 28, 2006 and ran continuously, night and day, through September 5. Sam Pluta is a New York City-based composer and improviser working in the fields of acoustic and electronic music. He is Technical Director for the Wet Ink Ensemble, a group dedicated to performing new works by young composers. He has been commissioned and premiered by Wet Ink Ensemble, Yarn/Wire, ICE, Timetable Percussion, RIOT Trio, So Percussion, Dave Eggar, and Prism Saxophone Quartet and has performed internationally as a laptop soloist and chamber musician. As a founding member of the improvising quartet GBL and performing with groups like the Peter Evans Quintet, Sam has focused in recent years on fusing the worlds of acoustic and electronic instruments through improvisation. A devoted pedagogue, aside from his teaching duties as faculty fellow at Columbia University, he holds the John Plude Faculty Chair in Computer Musicianship at the Walden School. His music is released on quiet design and Carrier Records, a label he runs with Jeff Snyder and David Franzson. Sylvain Roux, classicaly-trained flutist, performed medieval, renaissance, baroque and classical music from 1970 to 1980. 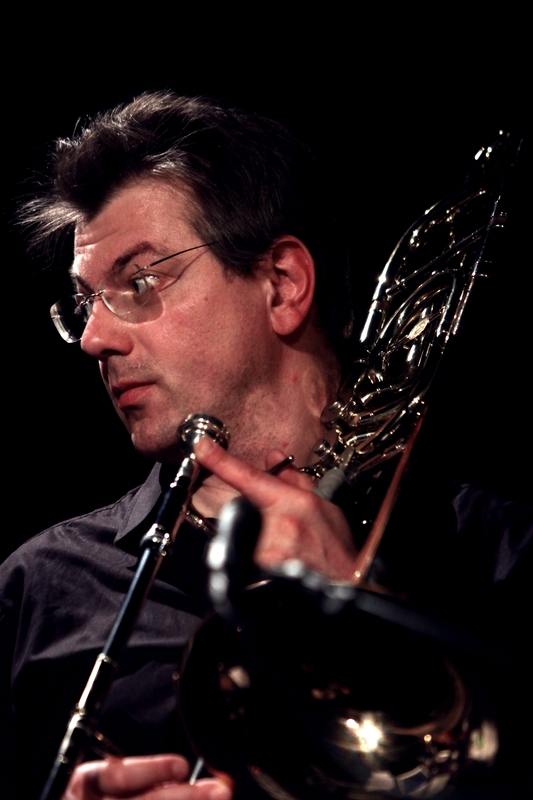 He was part of the band «la Compagnie Bernard Lubat » from 1990 to 2000, and played with François Corneloup, André Minvielle, Benat Achiary, Marc Perrone, Jacques Di Donato, Louis Sclavis, Michel Portal… For several years, his curiosity has pushed him to move between traditional, electro-acoustic, contemporary and improvised styles of music. This led him to play with, amongst others, the Japanese musician Mieko Miyazaki, the pianist and composer François Rossé, as well as with the digital-musician from Ircam, Benjamin Levy. State diploma holder in traditional music, he teaches music improvisation at the Périgueux Conservatoire of Music. Since 2007, he has also specialized in “Soundpainting” with Walter Thompson, François Jeanneau and Etienne Rolin. Sylvain Roux is also the artistic director of L'insoliste, a place of teaching, research and training centered on multidisciplinary improvisation. Robert Rowe received degrees in music history & theory (B.M. Wisconsin 1976), composition (M.A. Iowa 1978), and music & cognition (Ph.D. MIT 1991). From 1978 to 1987 he lived and worked in Europe, associated with the Institute of Sonology in Utrecht, the Royal Conservatory in the Hague, the ASKO Ensemble of Amsterdam, and with IRCAM in Paris, where he developed control level software for the 4X machine. 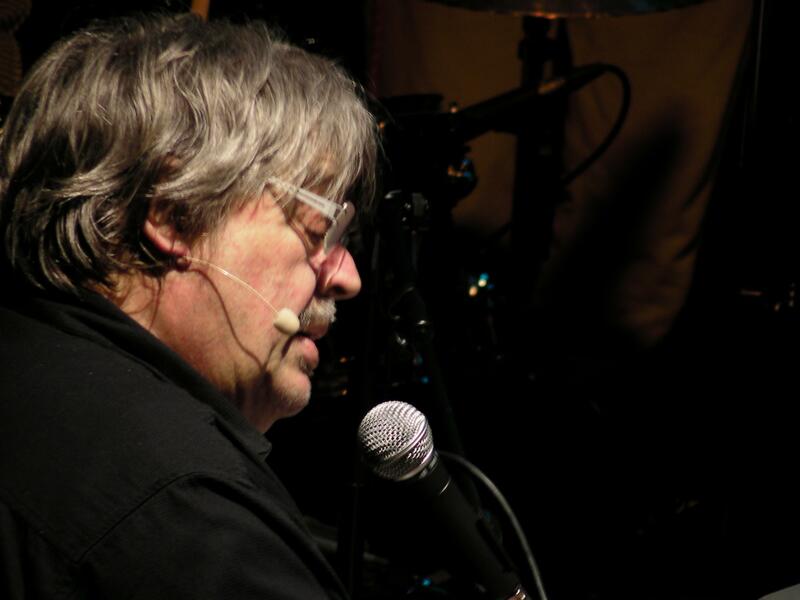 In 1990 his composition Flood Gate won first prize in the “live electroacoustic” category of the Bourges International Electroacoustic Music Competition. 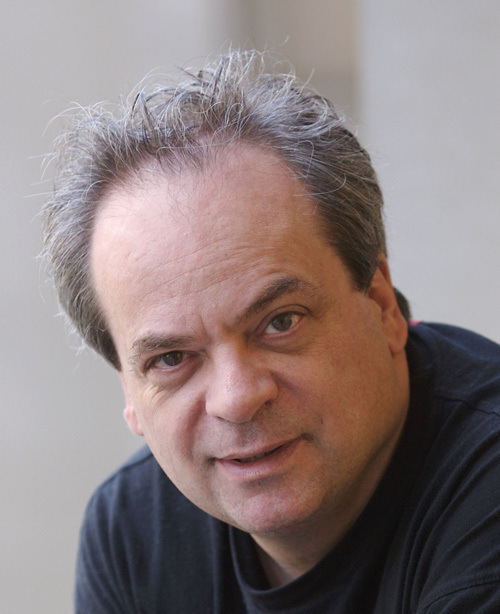 In 1991 he became the first composer to complete the Ph.D. in Music and Cognition at the MIT Media Laboratory and is currently Professor, Chair, and Director of the Department of Music & Performing Arts Professions of the Steinhardt School at New York University. His music is performed throughout North America, Europe, and Japan and is available on compact discs from Innova, Bridge, New World, Roméo, Quindecim, Harmonia Mundi, and the International Computer Music Association, and his book/CD-ROM projects Interactive Music Systems (1993) and Machine Musicianship (2001) are available from the MIT Press. Pierre Saint-Germier, born in 1983, prepares a PhD in philosophy at the Ecole Normale Supérieure de Lyon. His areas of specialization include the philosophy of cognitive science and the philosophy of music. His Master's thesis dealt with the philosophical implications of George Lewis' computer program « Voyager ». 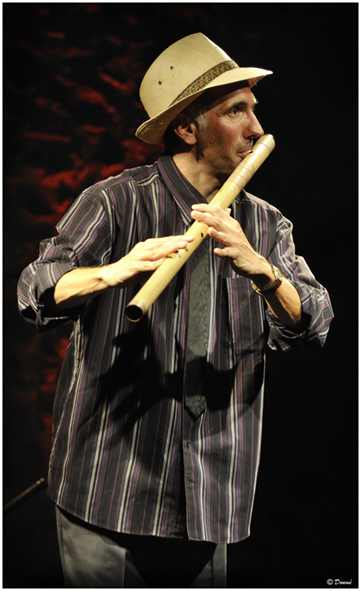 He took active part, with Clément Canonne, to a research project at the ENS de Lyon devoted to the interdisciplinary study of improvisation, which culminated in the publication of an issue of Tracés (French journal of social science) on improvisation (http://traces.revues.org/4496). He spends a lot of time playing the piano. Dave Soldier leads a double life as a musician and a neuroscientist. 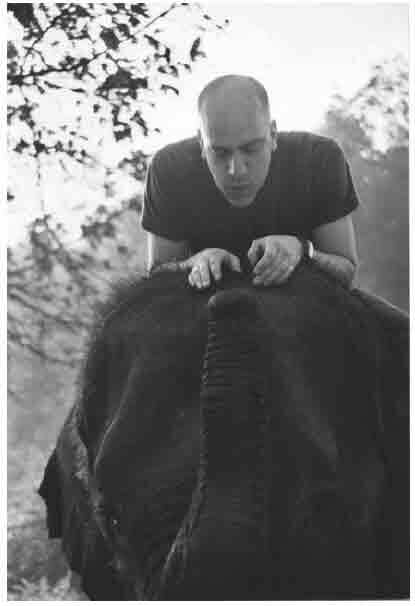 As composer, he developed repertoire for groups including the Thai Elephant Orchestra, 14 elephants for whom he built giant instruments and who released 3 CDs, and projects with children, including rural Guatemala (Yol Ku: Mayan Mountain Music) and New York's East Harlem (Da HipHop Raskalz). His Soldier String Quartet helped usher the use of hiphop, R&B, and punk rock into classical music in the 1980s, and his long-running Memphis/New York Delta punk band, the Kropotkins, is a cult favorite. His composed The People's Choice Music: the most wanted and unwanted songs, following poll results of likes and dislikes of the American population, with artists Komar & Melamid; song cycle/oratorios in collaborations with Kurt Vonnegut, and many chamber and classical works. As a performer and arranger, he worked with John Cale, Bo Diddley, Van Dyke Parks, David Byrne, and many jazz and avant garde acts, appearing on over 100 albums and films on violin, guitar, or arranger. A theater/performance film, The Violinist , is a current work..
As David Sulzer, he is a neuroscientist and Professor at Columbia University in the Departments of Psychiatry and Neurology. Sulzer's lab investigates the synapses of the cortex and basal ganglia including the dopamine system, in habit formation, planning, and decision making. His lab and collaborators have made major contributions to understanding the action of addictive drugs and causes of diseases including Parkinson's, Huntington's and autism. They developed the first methods to directly measure the fundamental unit of neurotransmission (quantal neurotransmitter release) and the first optical method to visualize neurotransmission at the synaptic level in the brain (by developing fluorescent false neurotransmitters). A few projects unite these personalities. With computer musician Brad Garton, he initated the Brainwave Music Project, which allows musicians to perform using their brain's electrical activity and teaches audiences about the nervous system. With chemist Roald Hoffmann, he runs a monthly science meets art series, Entertaining Science, at the Cornelia Street Cafe. And he has a series of new pieces that use mathematic transformations including fractals and calculus to create new repertoire, such as a 20 minute version of Chopin's Minute Waltz. Researcher and developer at the Real-Time Musical Interactions team at IRCAM - Centre Pompidou, Paris, focussing on real-time digital audio processing techniques for interactive music applications. He studied Telecommunications and Music in Graz/Austria and worked as studio assistant at the IEM. 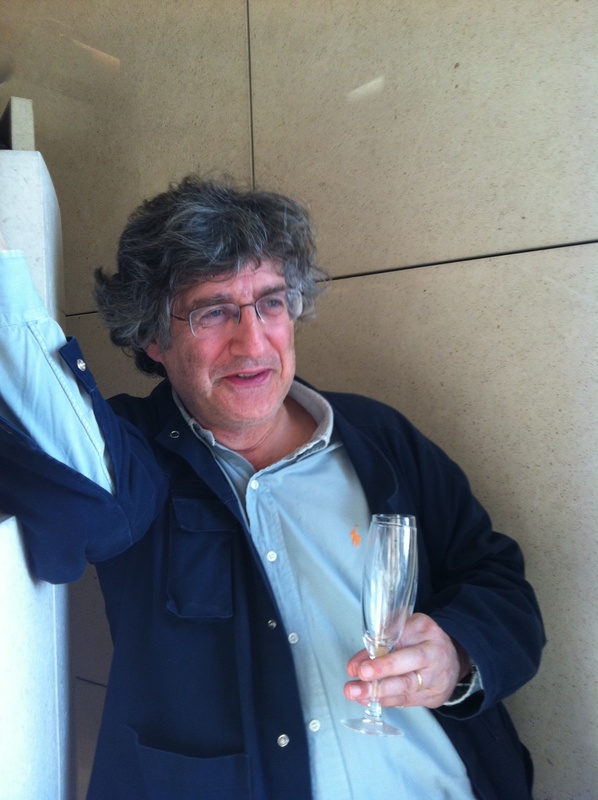 At IRCAM he initiated and participated in numerous international research and development projects as well as artistic works in the field of interactive audio-visual installations, music pedagogy, and sound simulation. He chaired the 6th International Conference on New Interfaces for Musical Expression (NIME) in 2006 and held the DAAD Edgard Varèse Guest Professorship for Electronic Music at the Technische Universität Berlin in 2007. 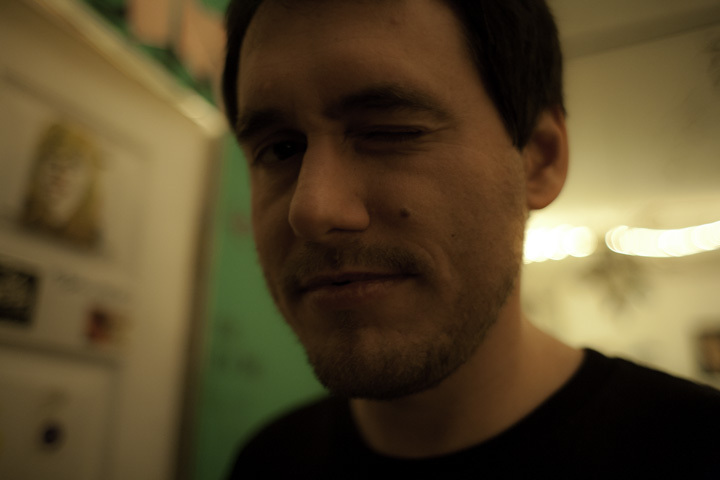 Currently he focuses on his PhD on techniques for the animation and re-embodiment of digitized sounds. Simon Sieger, born in France in 1986, is brought up in a family where jazz and improvised music, as well as literature and philosophy are the main interests. Taught by his father, saxophonist and improviser Pascal Sieger, he rapidly becomes a talented pianist, oriented towards free jazz and the exceptions of jazz history like Monk, Tristano, Sun Ra, or Cecil Taylor and very influenced by the early piano styles of James P. Johnson and Pete Johnson. He also plays the trombone, influenced by George Lewis, Albert Mangelsdorff and Gary Valente.He starts working with Thomas Weirich in 2006 and Raphael Imbert in 2010, and extends his field of play to contemporary music, electronic music and fabrication of instruments. In 2011, he completes the jazz course in Conservatory of Marseille, and is expecting a grant for his doctorate in 2012, which will be a re-writing of the multiple histories of improvisation. His style is diverse and very open to new ways of expression, like the one through the O’Max software, developed by the IRCAM. He recently recorded a trio with Thomas Weirich (guitar) and Famoudou Don Moyé (Drums) in the album “Improvisation Music Vol. 1”, and with Raphael Imbert for his album “Heaven”. Julian Stein is a composer and sound enthusiast currently residing and studying in Montréal. His interests lie primarily in musical applications of phonetics, bioacoustics, synchronization, and the urban environment. 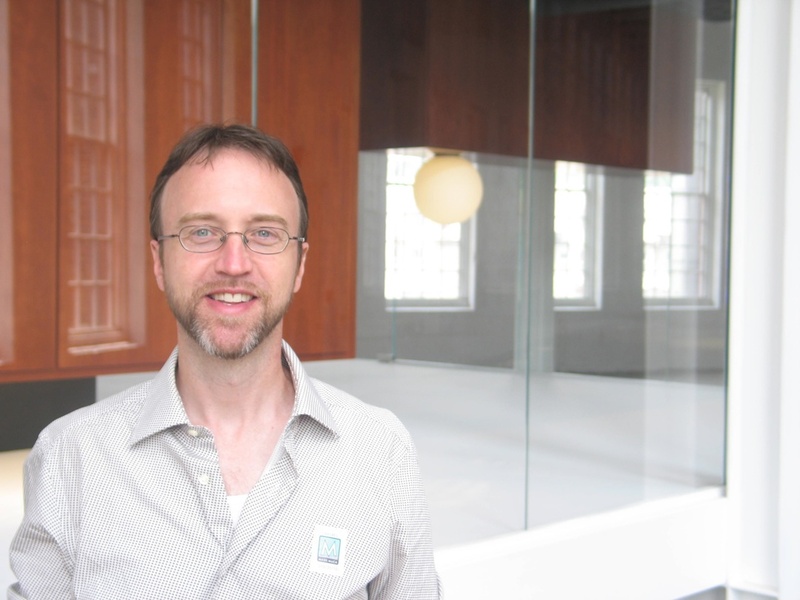 He is a founding member of the Concordia Electroacoustic Studies Student Association (CESSA) and co-creator of the Montreal Sound Map, an interactive Google Maps-based archive of Montreal's soundscape. He currently is a research assistant at matralab (Concordia University).